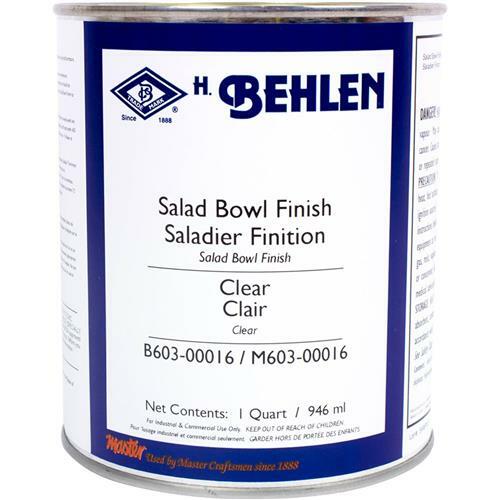 This Salad Bowl Finish is specially formulated to allow for the following statement. "This product contains FDA regulated ingredients complying with 21 CFR 175.300." and therefore achieves a non-toxic, safe for food contact finish in its cured state. It has the application ease of an oil finish and the film building and sheen producing qualities of a varnish up to a satin. Wooden bowls, utensils, butcher blocks (not intended for cutting boards or cutting blocks) and recreational related objects (games, puzzles, pull toys) may be used in contact with food when finished with Salad Bowl Finish. 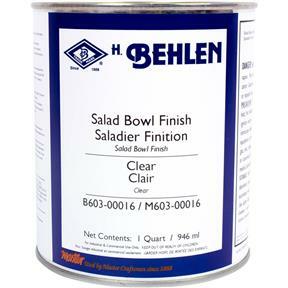 To insure that materials coated with Salad Bowl Finish may be used in contact with food, follow label directions. 550 VOC Compliant. Quart size.